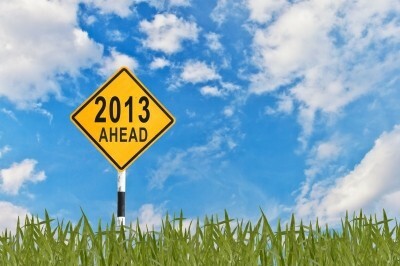 Here is my brief view of what to expect in 2013. During 2013, organizations will demand significantly more revenue value out of their existing sales and marketing ecosystem investments including CRM, Marketing Automation, and list acquisition purchases. Non-marketing executives at these firms will demand greater accountability for return on these investments. Generating more qualified leads. Successful marketers can and should claim the lion’s share of leads that close to revenue within their organizations. Focus here on the details: standardizing data fields within CRM and marketing automation systems, for example, is critical to proper segmentation and targeting. Data-driven segmentation is especially critical to executing targeted campaigns and increasing ROI. Optimizing business processes. Many companies use less than 10% of their marketing automation capabilities because they haven’t deployed these tools effectively. That’s why it’s so important to map every aspect of your customer acquisition and onboarding process – from inquiry to close and beyond – to and through your CRM and marketing automation tools. Connecting marketing activity to new revenue. An entire industry has evolved around the ability to measure marketing-sourced and marketing-influenced revenue – and to extend these analytics far beyond what’s available from an out-of-the-box CRM or marketing automation system. It’s hard to overstate the importance of these tools; their power lies in their ability to give executives “one view of the truth” for reporting sales and marketing ROI. 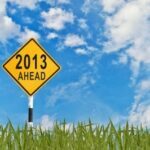 Organizations that put together these pieces and execute a revenue-driven marketing strategy will have a far more successful 2013 than those that don’t. There is a need for B2B Marketing ROI yet we’re still not there. According to Adobe’s 2012 CMO report, fewer than 20% of executive B2B marketers have the ability to measure ROI. 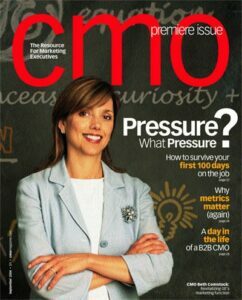 SiriusDecisions reported in their 2012 CMO survey that CMOs number one concern was demonstrating ROI. Unlike the B2C marketer who has one consumer that could be making a single web commerce transaction which is tracked from start to finish, B2B marketers are faced with a buying committee of six to eight purchasers and a buying path that has become more digital over the years yet does not mirror the accuracy of digital tracking that a B2C marketer has. An ecosystem of partners – Concur Software, has consistently grown revenue over 20% year over year and won a number of recent industry awards based on their marketing ROI performance. Their executive team relied heavily on an ecosystem of the right partners to implement their best in class CRM, Marketing automation, and data gathering/measuring techniques. One integration partner of Concur’s is DemandGen, who implemented the lead scoring processes so the Concur sales team could work more effectively on the right prospects instead of all prospects, thus improving the chances for higher return (conversion) on marketing campaigns. Buyer cycle knowledge – a surprising number of companies underestimate the need to build out content around their buying cycle. Why is this? With a buying committee, marketing teams do not fully understanding the ‘moments of truth’ of how their buyers actually buy and when buyers leverage digital technology to buy. A great example of enabling the right content is how Rackspace leverages the LinkedIn product page with over 500 peer/client recommendations to help with their funnel conversion process; no different from an eBay or Amazon purchase with recommendations from ‘peers’, Rackspace has enabled a savvy capability that shows which peers are also buying their product. With these three ingredients in place, marketing ROI is achievable. Measuring and tracking performance with systems can be tricky as it will take people energy, processes, and tools to get the right data reported on but without taking these steps in advance of measuring, you won’t know what areas to improve in. Veracity of measuring may come into question when data is formatted outside of CRM systems, so be prepared to identify all assumptions in data gathering and use those assumptions consistently. B2B Marketers continue to improve their journey of ROI measuring as marketing becomes more accountable at the executive level for a quantifiable impact on revenues. The Chief Marketing Officers from Cisco and from Xerox presented at today’s Philadelphia America Marketing Association (AMA) on “Changes and Challenges CMOs face” and I attended with about 100 others. Segmentation – There are several key questions to be asking which will later inform the content creation and/or marketing automation strategy to reach prospective customers. Usually this step is surprisingly overlooked in prospect companies of mine where they have not done enough recent diligence to understand how their buyer buys today (not how they bought 3 years ago) and Cisco reaffirmed this position by offering up some basic questions to review such as – who is our customer? Do we really understand what is happening in our buying cycle? Do we understand what message resonates and why? CRM/Marketing Automation – Cisco invested billions in new company acquisitions but the back end infrastructure has not kept pace. Consequently, the nirvana of a ‘closed loop’ lead system is not yet in place where one can track inquiry to close, likely because of several instances of CRM and/or marketing automation. A strategy in place to not only identify how to consolidate these instances but how to measure the impact is needed. GE Healthcare’s CMO who was an audience member asked how both aligned with emerging market sales efforts. There seemed to be universal agreement that China and Russia were growth markets. However, Cisco (and I later discovered in GE) really do not have the marketing resource today to invest in branding and campaigns in these regions, so much of the marketing is event driven marketing. This is where the puck is headed for marketing and in business – to understand how to get to these new markets by leveraging cost effective technology that has been proven in mature markets. This runs under the assumption that in region, campaigns are accepted in a digital format (in China for example, YouTube is not allowed/utilized in the buying process.) This is probably an emerging opportunity for marketing to consider as they plan their campaigns to reach new prospects globally. What have you found as your burning priorities? Today’s MOCCA meeting in Washington DC covered what role marketing operations plays in B2B with a diverse set of companies and vendors in attendance. We discussed the scope of the marketing operations role, benchmarked data from a variety of analysts, and summarized our discussion by sharing our practical operational experiences to overcome a number of challenges. • From a pool of twenty choices, the two most popular challenges for marketing operation heads were reporting/analytics and data management. 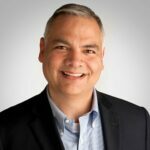 Based on other experiences here, this did not come to me as a surprise (mainly because this is also my primary business focus area of connecting marketing investment to new revenue); Adobe/Omniture recently said in their 2012 report that fewer than 20% of CMOs were confident in their ROI reporting ability. As for data management, companies are constantly wrestling with data quality issues where process is king for long term resolution in this area. • All companies acknowledged process issues across the board, though few dug into what those process issues really meant (nurturing, data quality, lead treatment, etc). 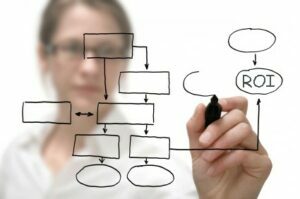 From a non-marketer viewpoint, process is less visible than a more tangible reporting/analytics and data structure for people to see, but without good process, the analytics will be in rough shape! • There was an interesting discussion around the credibility of marketing as it relates to marketing sourced vs. marketing influenced revenue. Some companies focused on one category or the other depending on what their culture was willing to absorb. This is a really fundamental point that is often overlooked in the theory frameworks of tracking/trending marketing – an organization as a whole (beyond marketing) really needs to ‘buy in’ to what the definition of revenue that is ‘marketing sourced’ and/or ‘marketing influenced,’ else the marketing organization risks credibility or relevance issues if the definitions are at question. • Social is not moving the needle enough for lead generation or is not measurable enough to quantify revenue impact at the top of the funnel. Twitter and Facebook seem to be ‘nice to do’s’ , yet LinkedIn continues to show strong within groups where a large community can be gathered by word of mouth vs. investment. This finding is consistent with my post here, although my finding was LinkedIn is helping both top of funnel and later in sales conversion. • All participants struggle with the ‘HOW’ to get something implemented; there were theory frameworks which were used as strawman, but when the rubber met the road, people had to wrap their minds on how to execute with limited resources vs. talking about great ideas and new strategies. All in all, a very good investment of time. What are some of your marketing operation challenges you wrestle with? 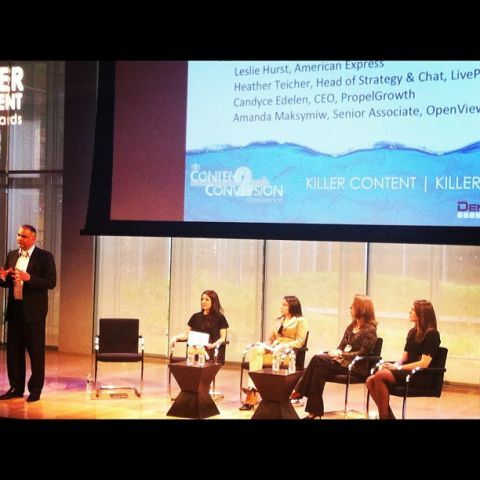 Last week, I facilitated a lively marketing leader panel discussion for Andrew Gaffney’s Content2Conversion event which was an audience of 300 B2B marketers cross industry. The event was focused on understanding what types of content buyers were interested in viewing at varying stages of the buyers funnel. Leslie Hurst from American Express Open, Heather Teicher from click to chat leader Liveperson.com, Candyce Edelen, CEO of propelgrowth.com, and Amanda Maksymiw from OpenView Labs participated on my panel. Click here for the webcast to our panel . While there were several key takeaways around measuring content, mobility, social, and privacy, there were 5 key areas that were surfaced during our discussion that motivated me to capture them in my blog. LinkedIn has increasing relevance and value in the B2B community. Two of four panelists mentioned how sharing content on LinkedIn was more reliable for information sourcing than that of Twitter as the information from a connected contact has a relationship and ‘feels’ more relevant than a stranger. One audience member from Rackspace who has 15,000 followers on LinkedIn is leveraging LinkedIn’s APIs to its web product pages, so when recommendations are published, prospective buyers can check to see if other buyers of Rackspace services are in their network. Content measuring – successful companies measured how often a piece of content was shared (shared with a friend, shared on links, shared with a blog, etc.) AND tied it to sales ready opportunities; at that point a piece of content was seen as a very valuable contributor to the sales and revenue processes. On segmentation and reaching end customers – across the panel, there was a relentless focus on understanding the customer and their respective pain points as a precursor to segmentation; what was less of overall focus for each panelist was reaching these customers via a specific technology (mobile vs. desktop) as well as the medium for reaching the end users (twitter, facebook, linkedin). Two panelists mentioned that mobile was ‘built into’ the development process rather than thought of as a separate initiative. Facebook was universally seen as adding a human touch to a B2B organization but was not seen in converting meaningful leads. On influencers in the buying process – quite a bit of emphasis was placed on identifying both customers and influencers that would help in the buying process by marketing to them, with them, and through them through co-developing content. This was also referenced by one of the marketing automation vendors as an approach. On Automation – one panelist summed it up best by saying, “Marketing automation has made some of our job much easier and much harder at the same time. SFDC is not built for marketers which is where marketing automation helps us but marketing automation is causing us to think differently than before and thus creating more work for us.” This seems to be the conundrum many organizations face – how to implement change with limited resource. It was a terrific experience moderating this panel. What are you seeing in these areas?